This Amazing Tuna Melt recipe truly is amazing. It, of course, all starts with the Best-Ever Tuna Salad recipe, and then the sky is the limit for this iconic sandwich. It just doesn’t get much better than this. 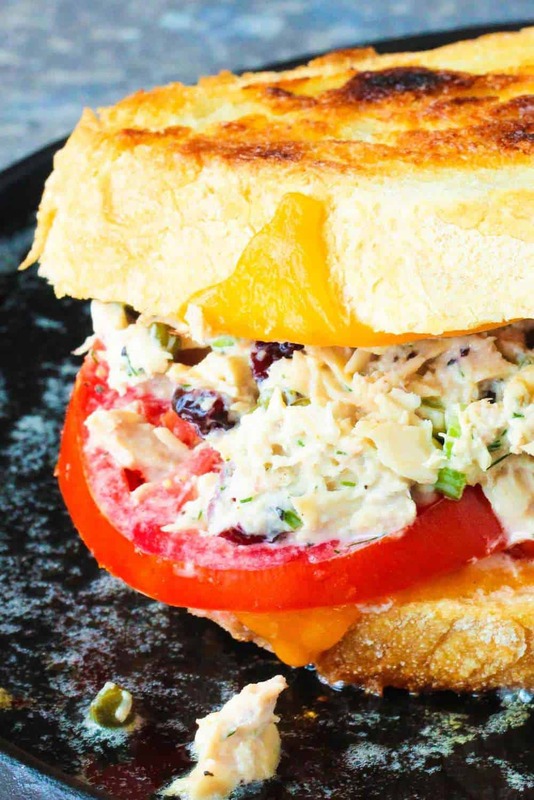 Now let us show you how easy it is to make this truly Amazing Tuna Melt recipe! We even show you how to make the Best-Ever Tuna Salad recipe! Did we mention how amazing the Best-Ever Tuna Salad is? Well, we’re not kidding when we tell you it is truly the best ever! Just look at all that yummy-ness! After you’ve made the Best-Ever Tuna Salad, all you need is some nice thick bread slices (sourdough is wonderful), good ole cheddar cheese, a couple sliced tomatoes, and a hot skillet with some butter. There is just something so undeniably comforting about this sandwich. It’s been warming hearts for generations. And this particular recipe takes it over the top. 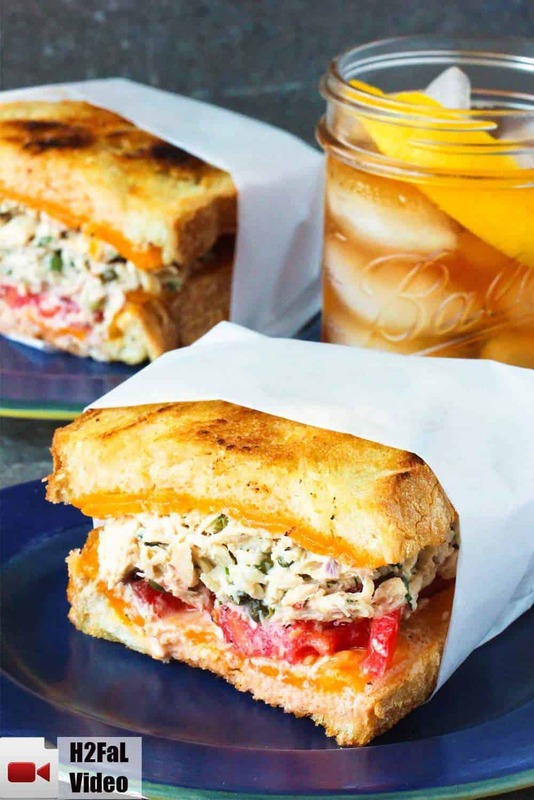 You’re going to love making this Amazing Tuna Melt recipe! Now, let’s make this Amazing Tuna Melt recipe! 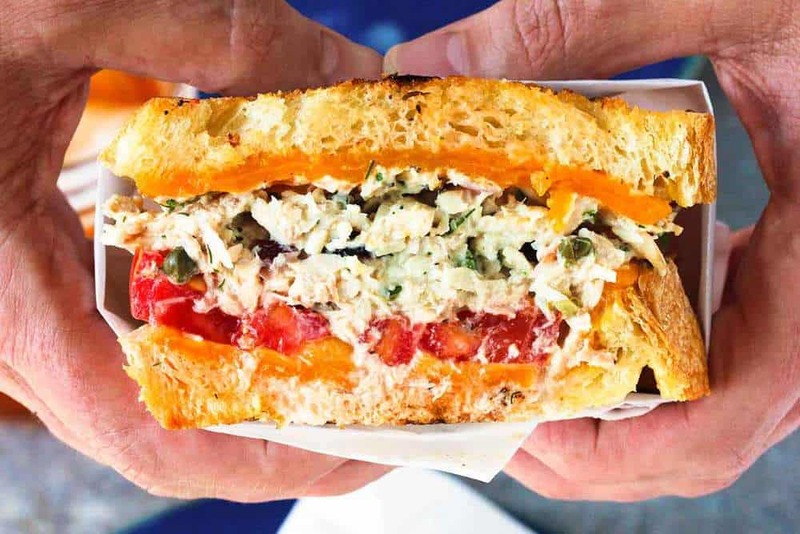 This Amazing Tuna Melt sandwich takes this iconic sandwich to heights you just can't imagine. It all starts with the Best-Ever Tuna Salad, and then the rest just comes together beautifully. Simple, straightforward and unbelievably delicious! Heat a medium-sized skillet over medium high heat and add remaining butter. Meanwhile, build the sandwiches by starting with 1 bread slice, buttered side down. Add 1 slice of cheese, then about 1/2 cup of the tuna salad, then 1 or 2 slices tomato, a pinch of salt and pepper, another slice of cheese, and another slice of bread, buttered side on top. Repeat to build 4 sandwiches. Carefully add 1 or 2 sandwiches into the hot skillet. Cook until lightly browned on the bottom, about 2 to 3 minutes. Flip and cook the other side until toasted on the bottom, another 2 to 3 minutes. Thank you! this tuna melt was sooo good. my friend loved it too. Thanks a lot for this beautiful amazing tuna melt recipecake .Keep up the good work.Cheers! 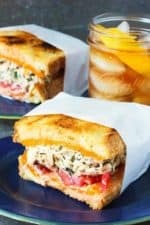 I love this tuna melt recipe and melts in the mouth. Definitely a great festive tuna melt treat or any other day would be perfect too. I can’t wait to start on my festive baking which has been put off a lot of times due to crazy work. This is a nutritious and healthy dish – everything is perfect! Thank you so much!! You’re gonna love this tuna melt! 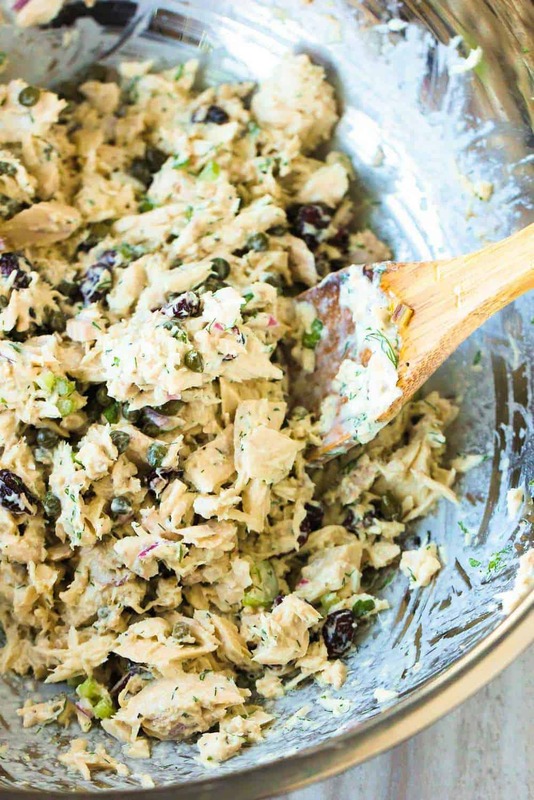 It’s all about the amazing tuna salad recipe! melt,is the best ever. Thank you! That tuna melt looks absolutely amazing! I have never had a tuna melt and will certainly give it a try. Seeing the sandwich wrapped in paper just makes it that much more appetizing. What is it about a sandwich wrapped like that? Quick question. Are you using a little individual induction burner? I’m in the market for one. Do you have a recommendation. Thanks so much and keep the videos and recipes coming. Always excited to see in my inbox that a new one is up. Hi Sherry! Wrapping the sandwiches in the sandwich paper was Wesley’s idea, but I agree, just makes you want to grab it and eat it immediately! You should give this tuna melt a try, it’s so tasty. For our videos, we use a hot plate that is very efficient, especially after you get used to it. 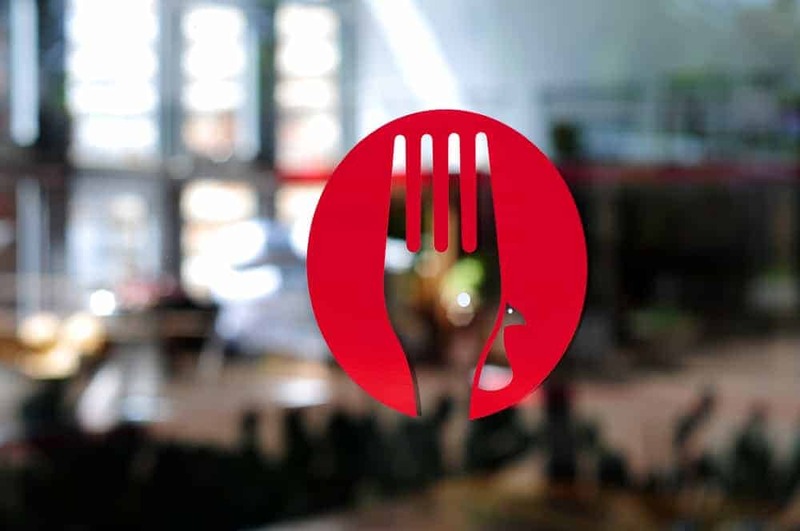 The brand is: Rosewill Home. I have all the ingredients now to make the melt. Can’t wait. I found the hot plate on Amazon for a very reasonable price. Thank you for sharing that information. Awesome!! Let us know how it turns out and what you think of it! I’m sure you’ll do fantastic!